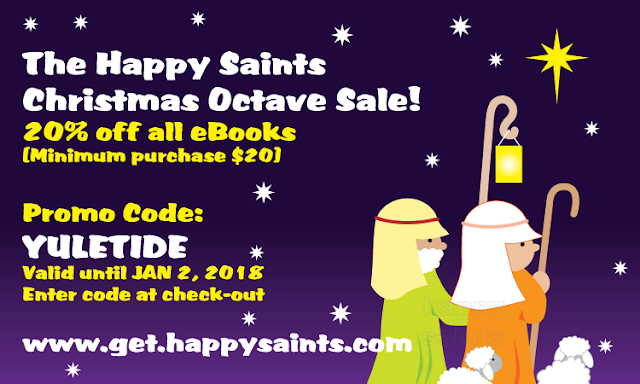 Happy Saints: 20% off Happy Saints eBooks during Christmas Octave! 20% off Happy Saints eBooks during Christmas Octave! Get 20% off all Happy Saints ebooks with minimum purchase of $20.